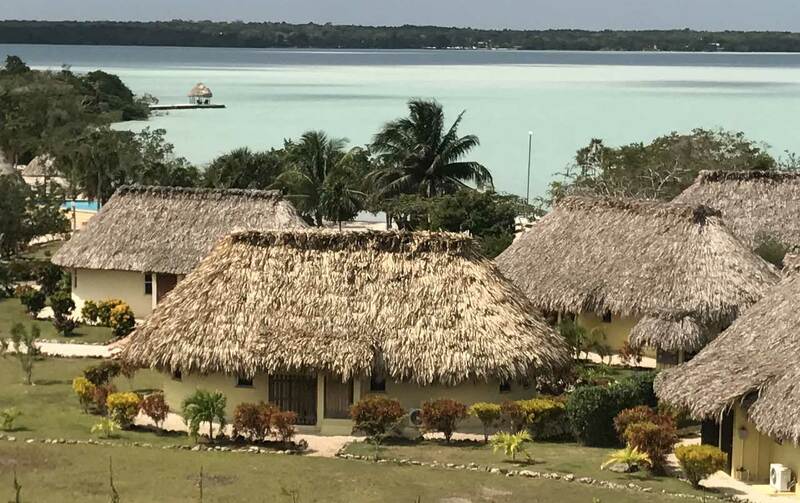 Northern Belize is our neighborhood and includes the Bay of Chetumal, north of Corozal, and the Bacalar Chico National Park in Mexico. East of Corozal, the coastline is mostly mangroves, where fish love to hide and around Sarteneja you find the gentle manatees, who live in those waters. 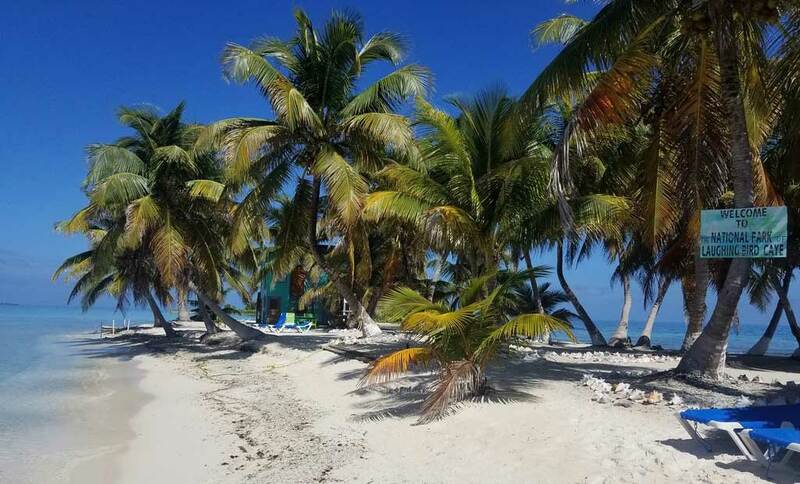 Head south to Ambergris Caye and Caye Caulker, for more great fishing, diving, snorkeling and the Blue Hole. Let us know what you want to see and do in Belize. You relax, we will do the heavy lifting! Corozal is the largest town in the north and 30 mins from the Mexican border at Chetumal. There is a lively main square in Corozal and a green park along the bay-front malecón. Corozal has many great open-air restaurants and a variety of lodging options, most with a view of the Sea. If you are staying in Corozal, Green Horizons Flats Fishing, will meet you at the Thunderbolt Pier by the Cultural Center. Orchid Bay, to the east of Corozal, is a resort community of ex-pats, with a full-service bar and restaurant, The Crimson Orchid Inn B&B, a swimming pool, paddle board rentals, a sandy beachfront and a boat dock. Looking across the water from Orchid Bay you see the Peninsula with the Cerro Maya Ruins on the west side. Near the ruins, Cerros Beach Resort is a great stop with casitas, a sunset pier and a comfy Blackbeard’s Restaurant and Cerros Sands Resort on the east side is directly across from Orchid Bay. Sarteneja, one of the gems of northern Belize, is a fishing and boat-building village and home to the Green Horizons Flats Fishing family. The Thunderbolt water taxi stops daily at the Sarteneja pier on its way to San Pedro and then back to Corozal. Sarteneja is known for its experienced fisherman and the best of Belize’s indigenous fishing crafts. There are a handful of comfortable places to stay and you can expect to eat fresh fish at the local restaurants. Wildtracks Manatee and Wildlife Rehab Centre is a short drive away as is Shipstern Conservation Center. 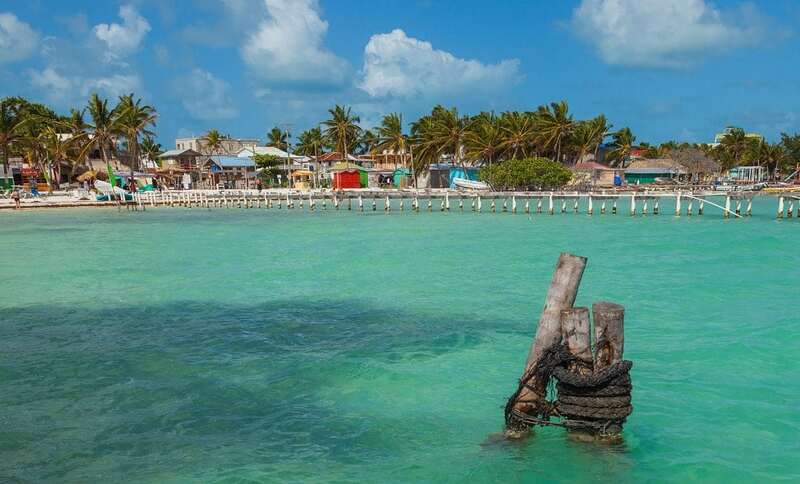 San Pedro town on Ambergris Caye, the largest island, offers a wide variety of lodging, restaurants, shopping, water sports, swimming and nightlife. There is something fun and interesting for travelers of all ages and budgets. 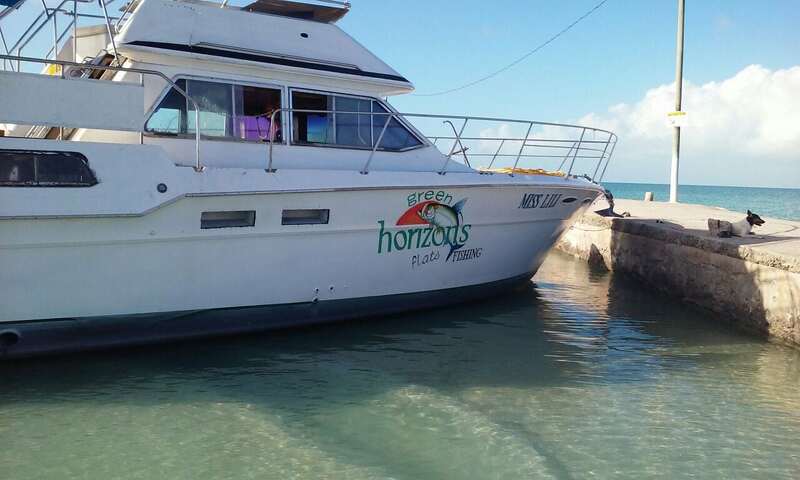 San Pedro, being so near the Barrier Reef and great fishing, is the second home for Green Horizons Flats Fishing. See our San Pedro page on Trips Sea/Land. Belize is sub-tropical with trade winds from the Caribbean to keep it cool. The average temperature is 80 degrees. The dry season runs from December to May and the green “rainy” season from June to November. Every day is a great day in Belize! Belize is always on Central Time, GMT+6. There are no daylight savings. The Belize dollar is double the US dollar. $1 US equals $2 Bz. American dollars are welcome and used together with Belize dollars and ATMs are available across Belize in the main towns. Not all Belize businesses accept credit cards so check first. The Belize one dollar is a coin, not a dollar bill and Belizeans call the 25-cent coin a “shilling”. Spanish and English are mainly spoken, with a bit of Creole, Garifuna, and Maya on occasion. Belize is home to many cultures and you can hear the Mennonites speak low German and Spanish, and you will also hear Hindi, Mandarin, Cantonese, Taiwanese. Quite a mixed bag of sounds. The electrical outlets will look familiar and work on 110 volts. No need for adaptor plugs. Service is quite good though power may be temporarily disrupted in a bad storm. 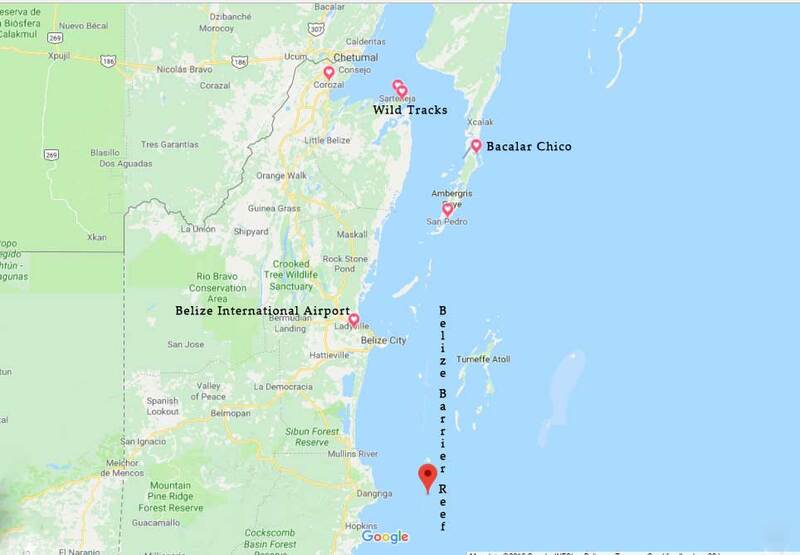 Belize receives internet fiber optic cable from Mexico so it may not be as quick as you may be used to. Check with the hotel where you are staying and they will tell you how it works in their location. In some of the outlying towns and villages, you may need a portable “Mi-Fi”, to get the signal. The phone system also runs on cable and Belize has two phone companies, Smart, and Digicel. Most rental cars come with a “flip phone” with some credit for emergencies. You can use this phone easily to call Belize numbers and add credit when you need more. You will see two types of tax – hotel room tax, 9%, and general sales tax on goods which is 12.5%. Be sure to ask if the tax is included. There is also a Belize departure tax, normally included in your airline ticket, however, if you leave Belize by road to Mexico or Guatemala, you will pay a departure tax…around $7.50bz. Unexpected events do arise, and if plans need to be changed at the last minute, travel insurance is very reasonable. Here are two companies providing this coverage, or check with your own insurance agent. Staying hydrated is very important, so carry a water bottle. Many hotels offer RO (reverse osmosis) water which is drinkable. Stop for fresh fruit juices or a local Belikin beer during the day. The local food is the Caribbean, traditional rice and beans with chicken, pork or beef, and can be a bit spicy. Remember Marie Sharps Hot Sauce comes from Belize! Most restaurants offer an American menu, as well as Belizean and Mayan dishes. The Chinese restaurants offer Asian selection, plus you can always find a quick taco or salbutes in the marketplace. The fruits and veggies in Belize are fresh and tasty with no preservatives…chickens are free range, we grow the best coconuts, and plantains, rice and beans. The cost of gasoline in Belize fluctuates and is high. About $1.50 per liter (1/4 of a gallon) and our gasoline comes from Venezuela and Houston. Gas for boats in more expensive than for vehicles. In addition as small as we are (the size of Vermont), it’s a longish country, so travel takes time and fuel. Most people bring way too many clothes! The tropics dictate what we wear…flip flops, shorts, and t-shirts, loose and inviting air flow! If you plan on some hiking or an adventure, bring a good waterproof walking shoe, and a lightweight shirt with long sleeves for mosquitoes and hot sun. If you are fishing, see our Fishing Info on what to bring.